Large George Washington signature, measuring nearly 3'' x 1'' on a 3.75'' x 2'' slip. 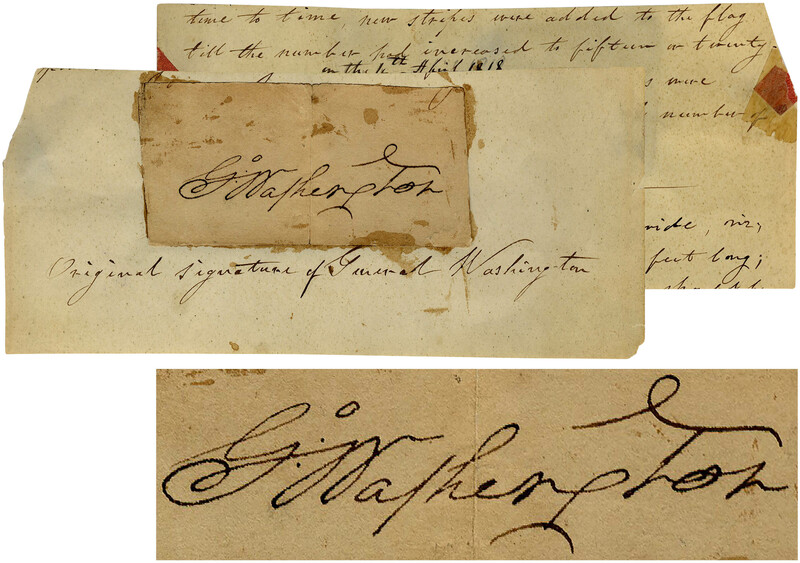 Paper is mounted to a larger sheet with period writing, ''Original signature of General Washington''. Vertical fold and some glue remnants, overall very good condition.